his ginger, pepper and lemon-scented bath bomb turns your water psychedelic and puts some colour in your life. Simply drop into a warm bath and watch as its fizzing centre dissolves into multi-coloured waters. Its spicy, citrusy scent will pep you up: lemon oil boosts the mood, while ginger and pepper are warming. 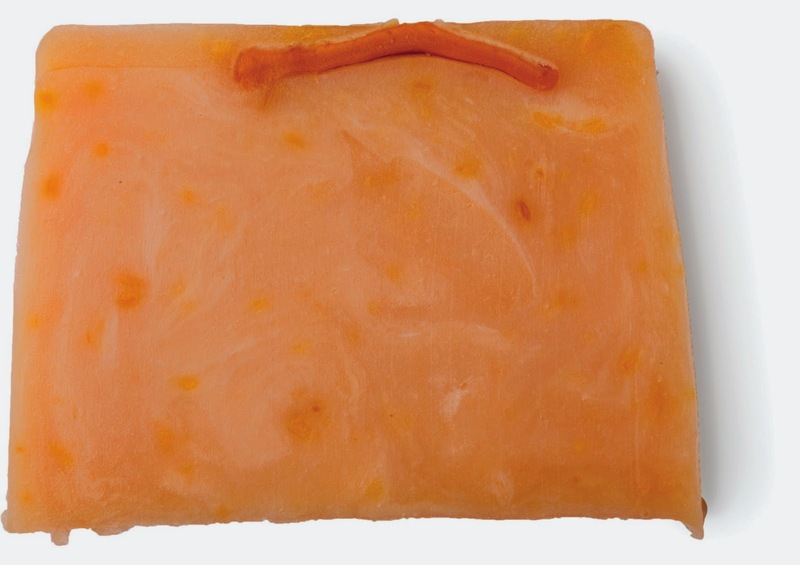 An orangey hair jelly to give your hair great hold without grease. Zest gives your mood a lift as well as your hair: sweet wild orange oil, pettigrain oil, and neroli oil give this a bright scent. 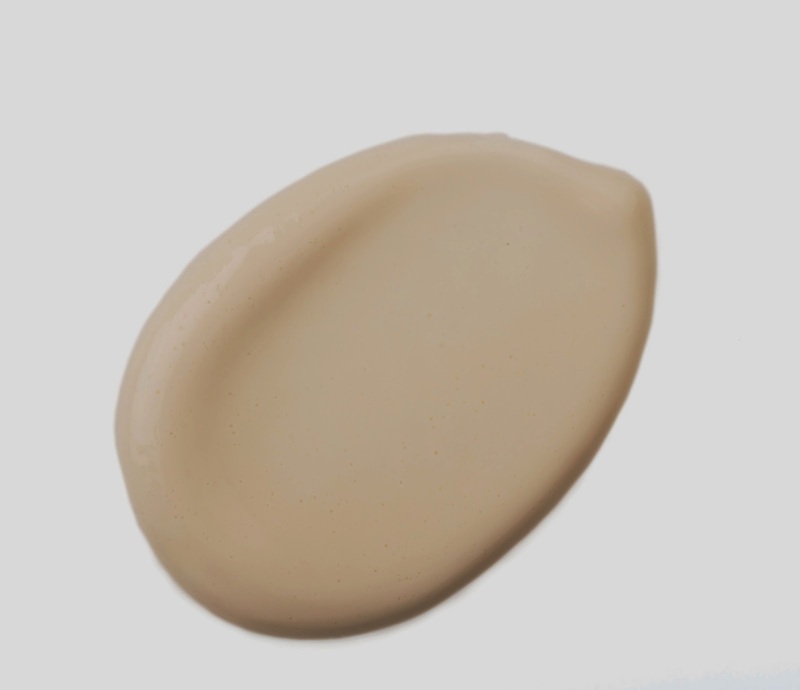 To use, tip the wobbly lot into your hands and juggle it between your hands to lightly coat them. Pop the jelly back in the pot and smooth your palms over your hair to create your desired style. Take a trip to paradise with this light body conditioner full of softening and scented ingredients from Africa. The sweet, spicy and floral-scented cream is packed with fresh mango juice to brighten the skin, nourishing almond and moringa oils, softening shea butter, and aloe vera to cool and soothe. Smooth over the body in the shower and rinse off to leave your skin perfectly hydrated. fresh strawberries and cocoa butter to create a gorgeous bit of fluff that leaves you silky smooth. This marshmallowy treat contains coconut oil, golden syrup, and egg whites to create a light texture that makes de-fluffing a dream. Use on the legs, face, or as a body wash: simply smooth over the skin and shave, rinsing the blade often. A herbal soap with parsley, thyme, tea tree oil, aloe gel and fine oatmeal for gentle exfoliation. 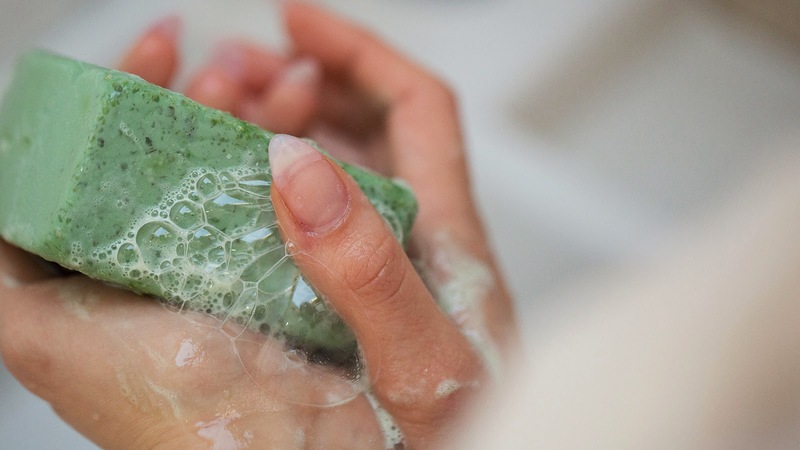 This antibacterial soap is the perfect Sunday afternoon combination of fresh parsley and thyme, with a tea tree infusion, cooling aloe vera gel and a fine oatmeal that leaves you feeling gently exfoliated and ready for a snooze on the sofa. Feel totally tropical with this fabulously fruity hand and body soap. Packed full of skin cleansing dried mango, zingy Sicilian lemon oil, mandarin oil and serotonin increasing neroli - you’ll be ready for a Week-End In Havana in no time. I love Lush products, can't wait to give some of these a go! Especially the D'FLUFF Shaving Cream! !